In this paper, we propose to represent a face image as a local descriptor tensor and use a Multilinear Manifold Analysis (MMA) method for discriminant feature extraction, which is used for face recognition. The local descriptor tensor, which is a combination of the descriptor of local regions (K*K-pixel patch) in the image, can represent image more efficient than pixel-level intensity representation, and also than the popular Bag-Of-Feature (BOF) model, which approximately represents each local descriptor as a predefined visual word. Therefore it should be more effective in computational time than the BOF model. 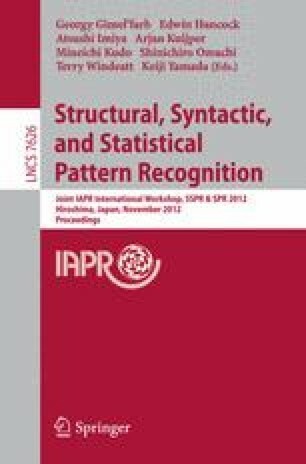 For extracting discriminant and compact features from the local descriptor tensor, we propose to use the proposed TMultilinear Manifold Analysis (MMA) algorithm, which has several benefits compared with conventional subspace learning methods such as PCA, ICA, LDA and so on: (1) a natural way of representing data without losing structure information, i.e., the information about the relative positions of pixels or regions; (2) a reduction in the small sample size problem which occurs in conventional supervised learning because the number of training samples is much less than the dimensionality of the feature space; (3) a neighborhood structure preserving in tensor feature space for face recognition and a good convergence property in training procedure. We validate our proposed algorithm on Benchmark database Yale and PIE, and experimental results show recognition rate with the proposed method can be greatly improved compared with conventional subspace analysis methods especially for small training sample number.